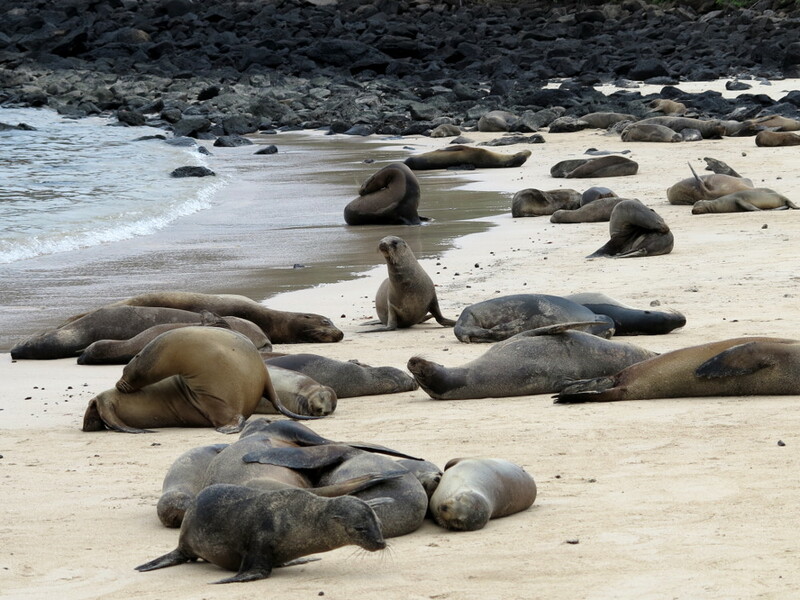 A journey to the Galapagos archipelago isn’t just a holiday; it’s an education. The theory of evolution, the survival of the fittest, The Origin Of The Species, The Voyage of The Beagle. The thinking and writings of Sir Charles Darwin are ever present in your mind as you explore the islands and see with your own eyes the little differences that were added up to reach Darwin’s world-shaking conclusion. I had a vague understanding of Darwin’s theories when I first came to the islands but by the end of our four day cruise with the Seaman Journey I had first hand knowledge of evolution in the Galapagos. We visited scores of islands with unique sets of flora and fauna that had adapted to the local environment in isolation to its neighbours. It’s these little changes that helped Darwin explain why an elephant on the wide open African savannah is much larger than one huddled in the Indian jungle. Our naturalist guide Geoff explained everything to us and made sure we understood why the Galapagos is such a special place. 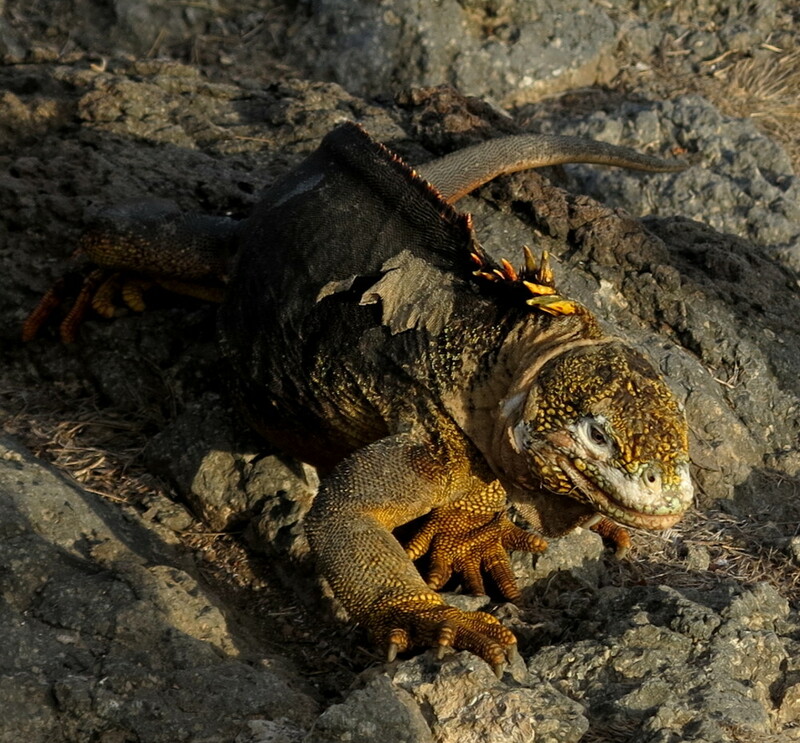 But perhaps the best example of how different life can get on the Galapagos was our visits to Santa Fe and South Plaza islands where Geoff told us to pay special attention to the cacti and iguanas. Just like a day at school we got up nice and early to visit South Plaza and jumped in the school bus, sorry, panga boats, and zipped through the calm Pacific to the landing zone. All around the ragged rocks we saw jet black marine iguanas, tiny lizards baking themselves in the sun and teenage sea lions gambolling about the place. 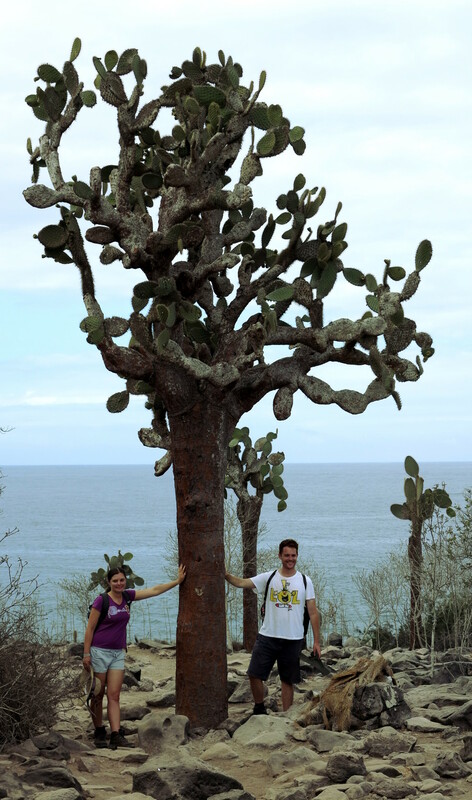 Geoff led the way up a shallow hill and to a forest of cacti trees, the tallest I have ever seen. 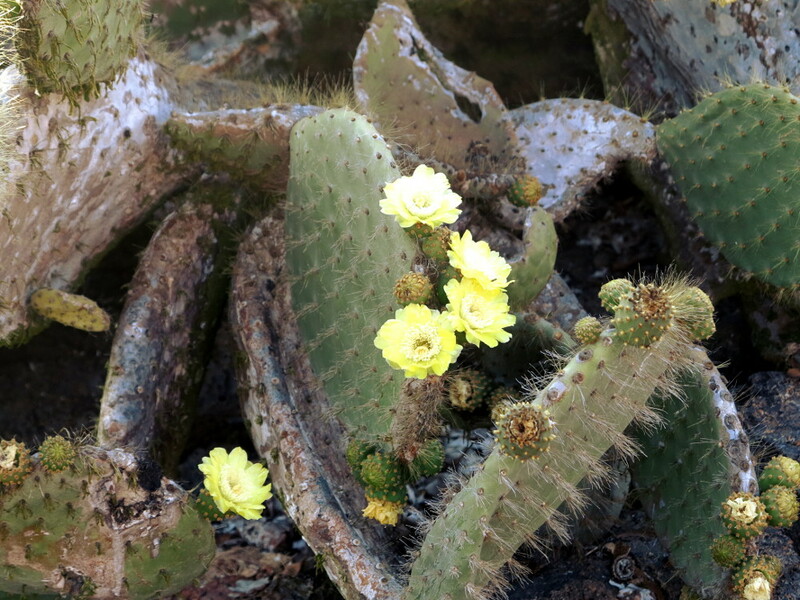 The scientific name for them is Opuntia echiois but most people just call them Galapagos prickly pears. My parents back in Australia have quite a few prickly pears in their backyard – but they are nowhere near as tall as the ones we saw on South Plaza. The distinct lack of giant land iguanas in my folk’s garden probably explains why! Geoff told us the cacti developed their trunks and height to get away from the land iguanas. If they didn’t grow tall then the lizard would gobble them up. Better to be tall and shed the occasional leaf than to get wiped out. The land iguanas on Santa Fe had unique colouring and size and were absolutely everywhere. 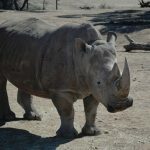 Big males patrol an area, letting females in so they can mate with them and chasing other males away to protect their patch. The more cacti in a patch, the better because there is more chance of food dropping down. We walked up onto the spine of the island and looked out over a vast expanse of sharp volcanic rocks and brilliant red vegetation. Geoff told us the giant cacti used to absolutely cover the island but pests such as goats cut their numbers down. The pests are all gone now but it was still a sad sight. “Just wait till you see the cacti on Santa Fe,” Geoff said and led us back to the boat for a well earned breakfast. We had what’s called a ‘wet landing’ on Santa Fe in the afternoon where the panga motored up to the beach and we hopped out into the shallows and waded ashore – lots of fun. The landing beach at Santa Fe was absolutely covered in sea lions – babies, teenagers, females and great big beach master males barking and howling and grunting in a symphony of what sounds like severe indigestion. We hiked along a trail of jagged volcanic rocks to a flat area where the biggest cacti I have ever seen were growing thick on the ground. These cactus trees were at least double the height of the ones we saw earlier on South Plaza – they were immune to being eaten by any animal – but their supreme height was also their weakness. The goats are all gone but when it rains the cacti have a hard time keeping their legs so to speak. We all had a good look inside the trunk of a fallen cacti and I was shocked at how thin and fragile the structure was. At that moment a rustling sound cascaded through the undergrowth and we turned to see two massive land iguanas running through the bushes – one male chasing another off his patch. The land iguanas on Santa Fe are different to the ones on South Plaza – they are a dusty peach colour and seem to be a little larger too. Two new species in as many minutes, most remarkable! As we motored away from Santa Fe I marvelled at the sky and the sea and the land, thinking how wonderful it was to see how much life can change when separated by just a few miles. 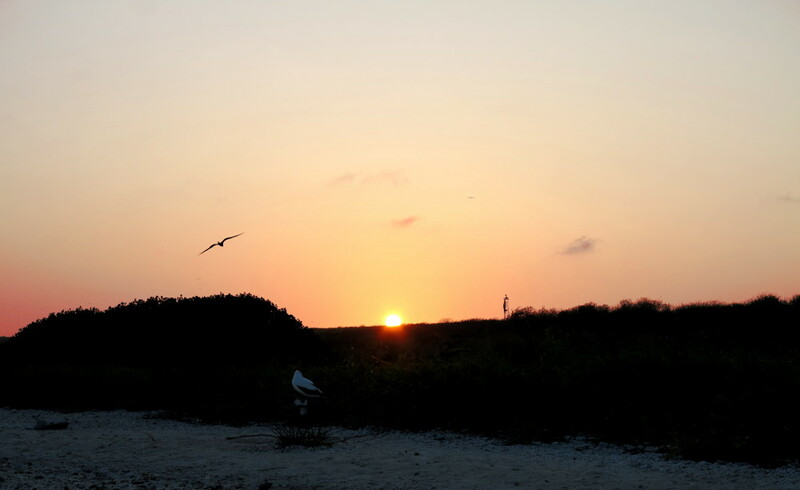 That is my everlasting impression of the Galapagos – how the world is many worlds all wrapped into one. 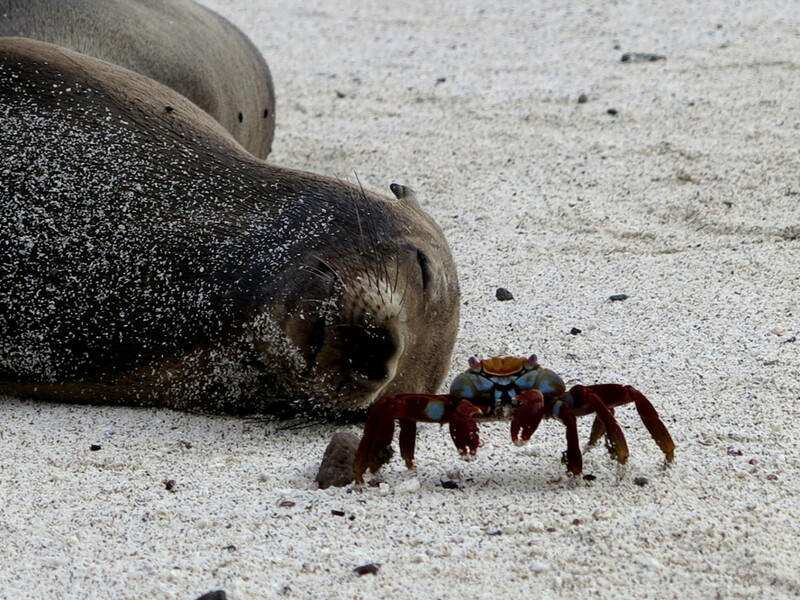 Have you been the the Galapagos? What did you think? 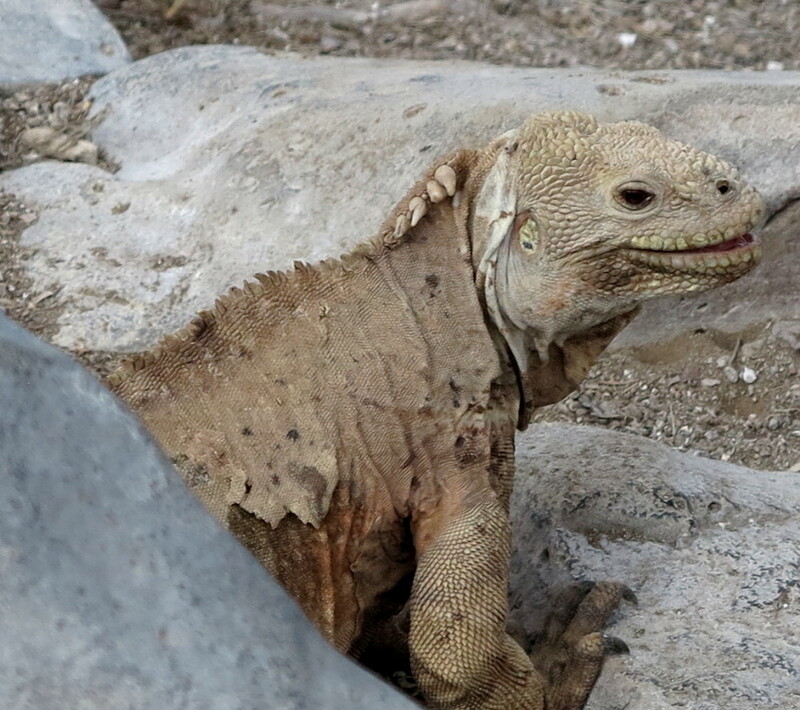 The reason they grow such big trunks is to protect their juicy leaves from the land Iguanas like this adult male. 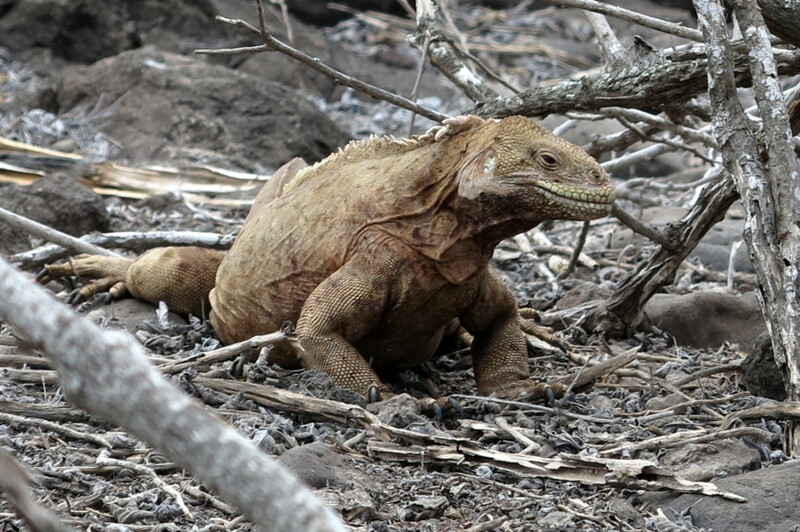 David: South Plaza has one of the biggest populations of land iguanas in the Galapagos – our guide Geoff told us each male has a patch of ground he patrols, letting females in and keeping other males out! 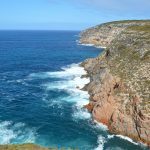 We walked right across the spine of the island to a series of rocky cliffs where sealife abounds – we saw countless birds and even Sea Lions climbing up the rocks! While we unwound while the crew set sail, motoring us across the calm waters of the Pacific Ocean to our next destination. 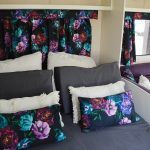 Carmen: We piled into the dinghy boats or ‘pangas’ and motored along for a wet landing at our next destination – Sant Fe Island – where the beaches are always covered in sea lions! Sea lions are everywhere in the Galapagos and they seem to spend most of their time just lazing about – they don’t mind humans much – in fact some of them seem to pose for the camera! The prickly pear cacti grow really, really big on Santa Fe – they almost look fake they are so large – like something from a film set. Dave: The coolest thing about the giant Galapagos cacti is the sort of tree trunk they have evolved to allow them to grow so tall – the only downside is if there’s too much rain they can topple over! Lurking on the ground we saw even more land Iguanas – same animal as South Plaza but different species – see the colour changes? They are very territorial, check this out! This guy didn’t seem to mind us though – and as we sailed away from this world unto itself we looked ahead to our next adventure. It’s certainly worth a visit Catherine – it was one of the most unique and interesting places we’ve ever been! This is one of the places in my bucket list! Its history makes it an intriguing place for me. 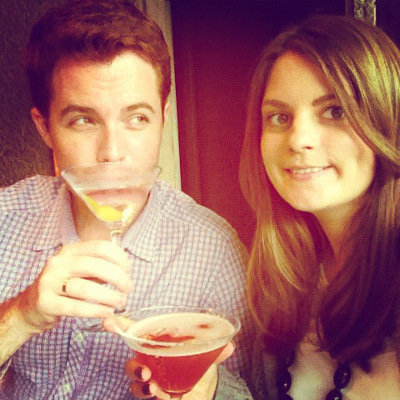 Ohmy, nice post and you successfully made me jealous! I always wanted to go there once in a lifetime!